Founded in 1932 as McGee Airways in Anchorage, Alaska, Alaska Airlines changed its name and moved its base of operations to Seattle in the 1940s. With hubs in Los Angeles, Portland, Seattle, and Anchorage, Alaska Airlines still carries more passengers between Alaska and the lower 48 than any other airline. With over 100 destinations in the U.S., Canada, Costa Rica, and Mexico, Alaska Airlines also operates out of focus cities San Diego and San Jose. Alaska is not a member of any major airline alliance (such as OneWorld, Star Alliance, or SkyTeam), though it does have codeshare agreements with individual airlines in both OneWorld and Skyteam. Alaska Airlines serves more than 17 million passengers a year. The airline’s first flights were piloted by founder Linious “Mac” McGee, who took his three-seat Stinson between Anchorage and Bristol Bay. Without a set schedule, McGee would depart if and when people or cargo appeared, which sometimes resulted in round-the-clock flights during busy times. After World War II, the company (now called Alaska Airlines) used surplus military aircraft to branch into charter flights, participating in both the 1948 Berlin Airlift, which brought crucial supplies into blockaded West Berlin, as well as the 1949 Operation Magic Carpet, which transported nearly 50,000 Jewish passengers from Yemen to the new state of Israel. In 2000, Alaska Airlines began to expand its service to the Midwest and East Coast, with flights to Chicago in 2000, to Washington, D.C. in 2001, to Newark in 2002, and to both Orlando and Boston in 2003. 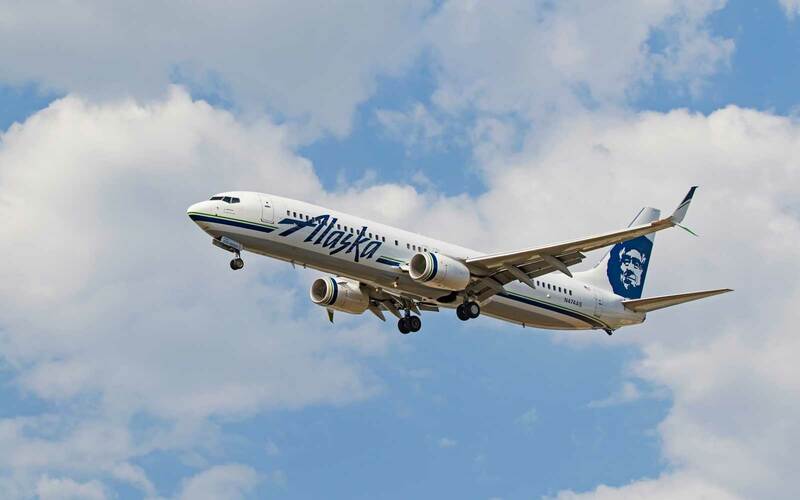 Alaska Airline’s frequent flyer program is Mileage Plan. In 2011, the airline announced a new program called Club 49, a Mileage Plan program uniquely designed for Alaska state residents. As members of Club 49 (which costs nothing to join), Alaskans enjoy free checked baggage as well as notifications about fare sales and discounts.